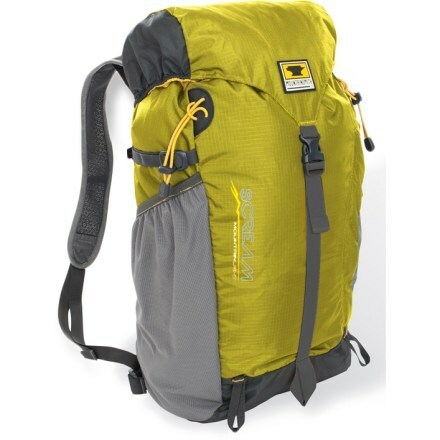 Designed for moving quickly and comfortably on trails, scrambles and cobblestone streets, the men's Patagonia Nine Trails 20L pack helps you haul your essentials wherever you explore. We designed this Nine Trails Pack to feel weightless on your back and effortlessly carry just what you need for moving quickly and comfortably on trails, scrambles and cobblestone streets. The U-shaped lid provides easy access to the main compartment, where there's room for a hydration reservoir, food for a long day of motion and extra clothes in case you meet up with a brewing afternoon thunderstorm. 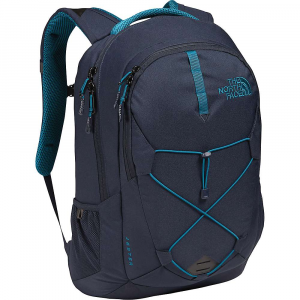 The pack's exterior has a large stretch pocket on the front and quick-stash pockets on the sides for securing extra gear you want to keep handy; hip belt pockets keep your must-haves close at hand. We built the back panel from mono-mesh to prevent moisture buildup and provide excellent airflow; it's the most breathable back panel we've ever made. Designed with perforated foam, the padded shoulder harness and waist belt keep your load comfortably centered and close to your back so your gear moves with you, not against you. Compression straps on each side allow you to manage the size of various loads. Made of lightweight yet highly durable 4.2-oz 210-denier CORDURA(R) 100% nylon ripstop with a 3.3-oz 200-denier 100% polyester lining. Both fabrics are treated with a polyurethane coating and a DWR (durable water repellent) finish. 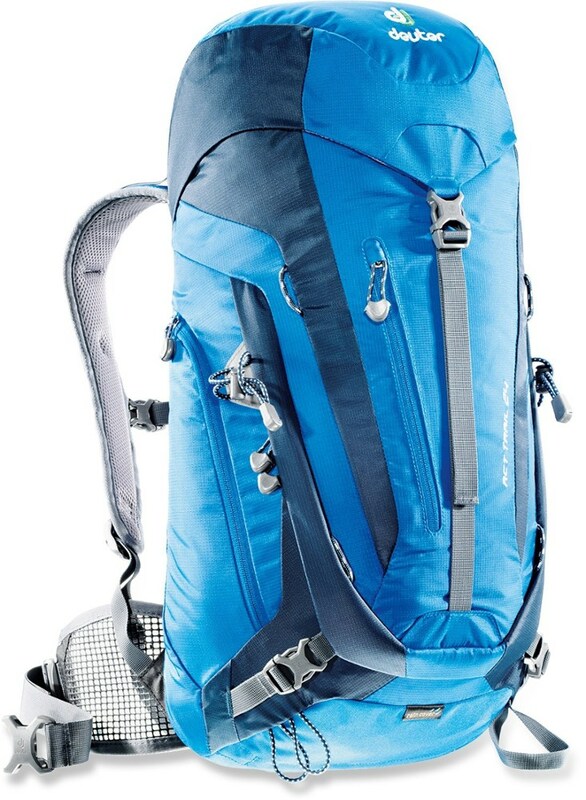 Move comfortably and confidently over precarious ridgeline hikes and through technical slot canyons with the Patagonia Nine Trails 20L Backpack. This pack boasts a lightweight, low-bulk design that won't hold you back on tough trails, but still offers the space to carry all the gear you need for a long afternoon trek. The main compartment offers enough space for a hydration reservoir, food, and an extra layer, and the large stretch exterior pocket keeps your rain shell handy in case you collide with a thunderstorm during your adventure. Lightweight, tough Cordura fabric withstands frequent brushes with branches and rocks, and it's equipped with PU and DWR coatings to keep the contents from getting soaked in a storm. Compression straps manage your load to keep it as compact as possible, and the waist belt and sternum strap provide stability so you don't get thrown off balance when scrambling over boulders. 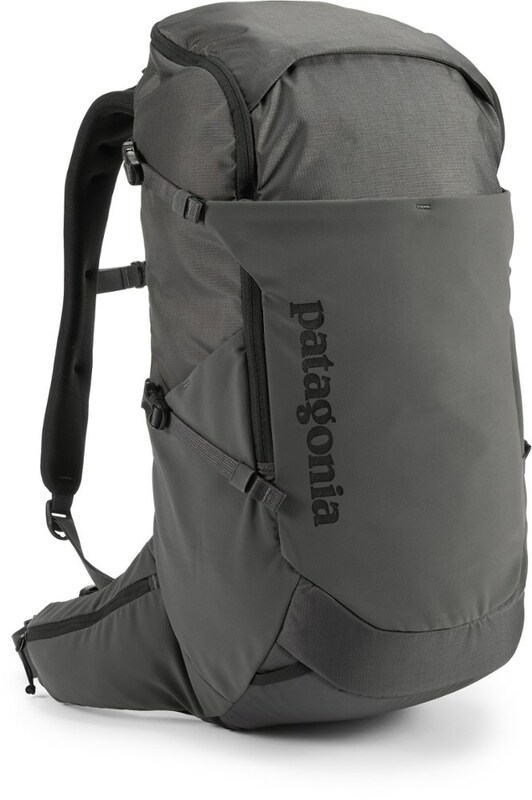 And to keep your back from getting drenched with sweat on the ascent, Patagonia equipped this pack with a mono-mesh back panel that allows excellent airflow and prevents moisture buildup. 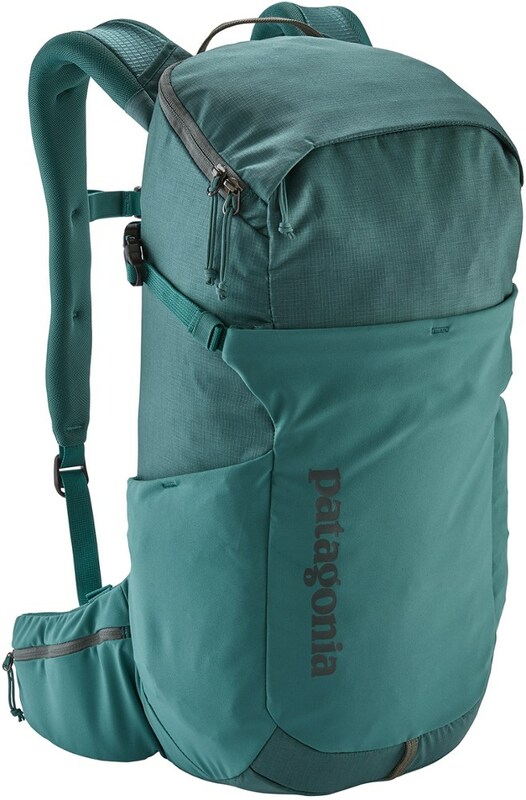 The Patagonia Nine Trails 20L Backpack provides out-of-the-way comfort while carrying all the essentials. Equipped with a U-shaped lid, its easy to access the main compartment, while exterior stretch pockets make room for extra items you're wanting to bring along. Its Mono-Mesh back panel allows easy airflow, preventing sweat buildup and keeping you cool while you spend the day scrambling up hillsides. 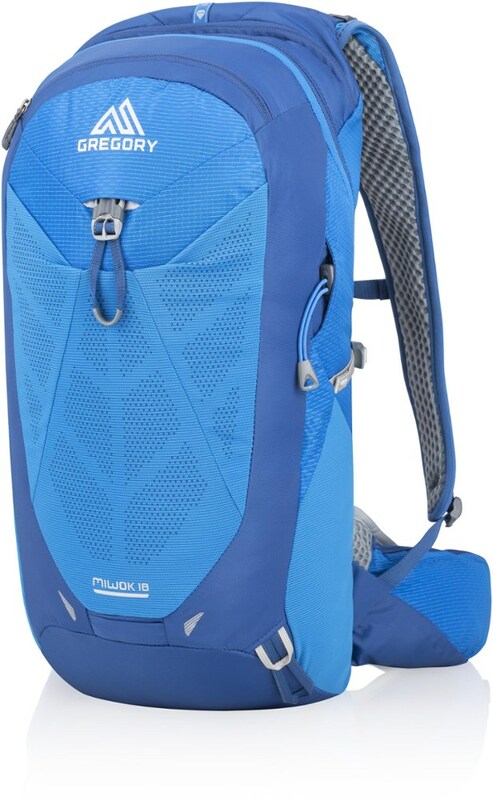 The Nine Trails Pack was made to carry just what you need for moving quickly and comfortably on hikes, scrambles and cobblestone streets when you dont need a full quiver of gear. The U-shaped lid provides easy access to the main compartment, where theres room for a hydration reservoir, food for a long day of motion and extra clothes in case you meet up with a brewing afternoon thunderstorm. A separate stash pocket holds your smaller, easily misplaced items like sunglasses, topo map and sunscreen. The packs exterior has a large stretch pocket for securing extra gear or keeping a jacket handy in changing weather. We built the back panel from mono-mesh to prevent moisture buildup and provide excellent airflow; its the most breathable back panel weve ever made. Designed with perforated foam, the padded shoulder harness and waistbelt keep your load comfortably centered and close to your back so your gear moves with you, not against you. 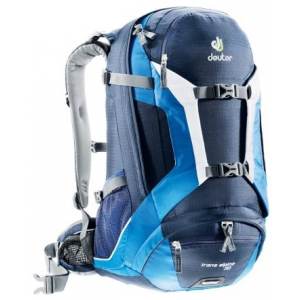 Compression straps on each side allow you to manage the size of various loads. Made of lightweight yet highly durable 4.2-oz 210-denier CORDURA 100% nylon ripstop with a 3.3-oz 200-denier 100% polyester lining. Both fabrics are treated with a polyurethane coating and a DWR (durable water repellent) finish.